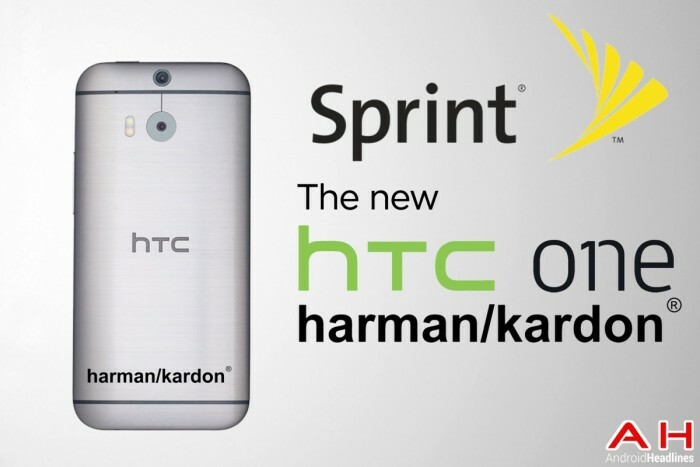 In what might surprise many people we have just learned that Sprint will be getting a special harman/kardon edition HTC One M8 in the future. After a couple years of having devices powered by beats audio, it looks like HTC may be taking things a different direction in the audio department. For those who are unaware, harman/kardon specializes in all kinds of high end audio equipment from Home Entertainment systems, to speakers, to headphones and even in-car audio. We’re not exactly sure if this means that HTC is deciding to forego the Beats audio for a new new type of audio technology from harman/kardon with this specific model, or if it will accompany the tech that is already there. The information comes from infamous leaker evleaks, but the only details are that this model will be coming to Sprint. It’s worth noting that the image shown here is only a mockup as there are no actual images that have surfaced of the device yet. There is no mention of price or availability time frames, but since the official launch of the HTC One M8 across all carriers is scheduled to happen here in the next few days, we can only assume that this special edition of the One M8 will be in the near future. We have to wonder if other carriers will end up getting this special edition model as well, and of course the question that is probably on everybody’s mind is how well will the audio sound compared to the original model? With the quality that harman/kardon is normally known for we can only imagine that it will be of superb quality, but we would only be speculating. Is HTC testing the waters with harman/kardon here? Are they using this model of the One M8 to see how well the audio is received and place it into other future devices if it does well with consumers? Time will tell. We’re sure this isn’t the first and only set of details coming from evleaks as he’s known for putting out tidbits like this early on, only to follow it up with the juicy information later. Will it look different and have a new color? And why Sprint and not any other carrier? There are so many questions rolling through our minds about this but we have literally no answers to give. When we learn more, you’ll know more. 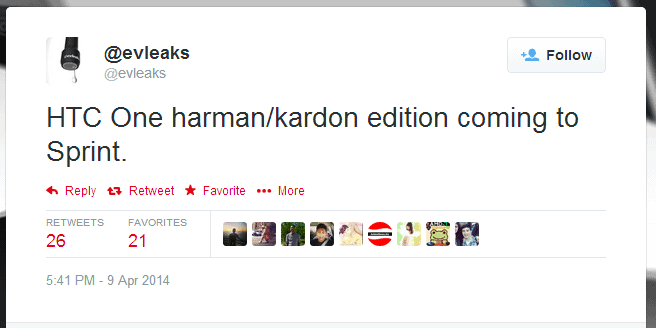 The post Sprint To Get Harman/Kardon Audio Special Edition HTC One M8 appeared first on AndroidHeadlines.com |.